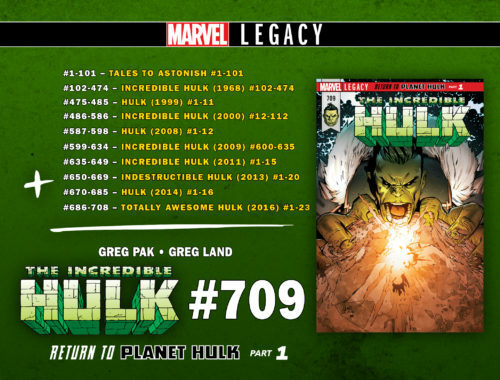 Greg Pak returns to 'Planet Hulk'! 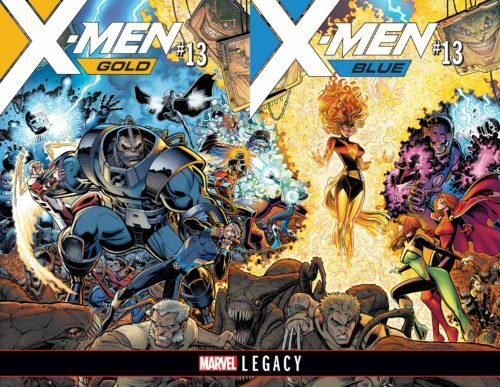 Over the weekend, we posted a sneak peek at Marvel’s plans for Marvel Legacy. The event has been met with mixed response. For old fans like myself, it’s nice to see the old numbering, but maybe that will be a turn off for new fans. 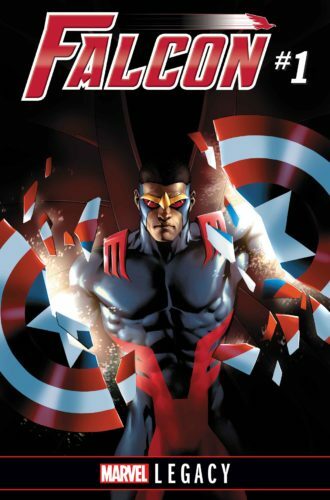 And I’m somewhat disappointed to see Sam Wilson return to being the Falcon. He’s been a good Captain America, and that’s true to Jack Kirby’s intention with the mantle. Putting that aside, Marvel has one book ready to go that does have me excited, and I admit that it’s a retread. 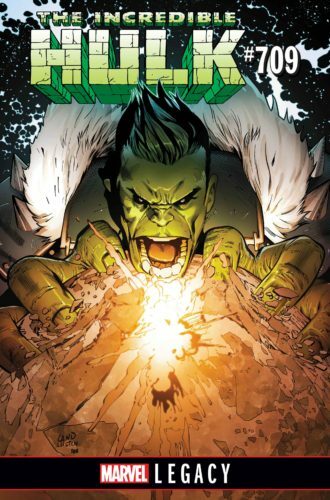 But it’s a retread and moving forward of one of the best Hulk stories ever done, and this time with Amadeus Cho, the Totally Awesome Hulk. If Legacy could promise me more of the new generation understanding the legacies they carry, it might be exciting after all. 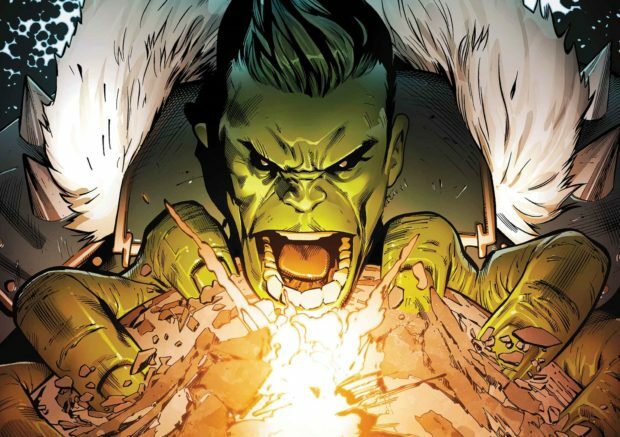 The best part of this return to Planet Hulk? Original co-creator Greg Pak is guiding it, teamed with Greg Land on art. For at least this one book, I’m in.